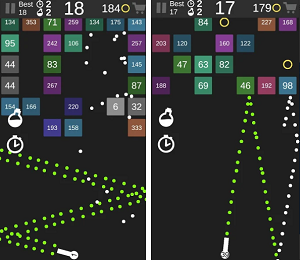 Android apps can pretty much offer users a virtual experience of any pastime or occasion now. 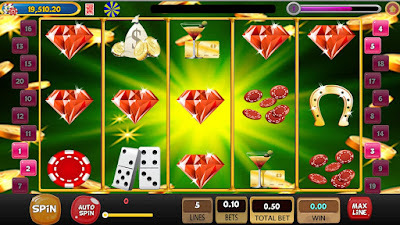 One of those which is increasingly proving to be popular with Android device owners is the casino experience. As such, there are a wealth of casino based content apps now available on the Play Store. Check out one of top ten apps that we pick and you might want to consider downloading if you are interested in virtual casinos gaming. Namely, we talk about a game app called Slot Jackpot Fruit Machine, a perfect casino game created for lovers of gambling and for the ones who are interesting in tasting the Las Vegas Casinos spirit. Get the app for free on your Android device and enjoy the slot machine games by completing all the levels, earn coins daily, spinning wheel, take free spins and much more. Play just one game of slots in Slot Jackpot Fruit Machine and you will be mesmerized with amazing, charming and colorful game screen that gives you the feeling of richness and hypnotize you with that sound effects of the real casino slot machines. With this kind of atmosphere, it’s quite easy to get lost in hours of addicting game play. This fantastic casino game app is available on Google Play Store, so you can play it like we say for free. Give it a try, because you will regret if you miss this opportunity to get the taste of real casino on your mobile device and take your gaming experience on the new and more exciting level in order to fulfill your free time with some high-quality entertainment. Click the link and get the app now!